Eduard Zizak was born in Sevastopol, Ukraine, in 1973 to a musicians' family. He studied piano in junior music school and started to play drums in the group led by his father, a jazz saxophonist, aged six. 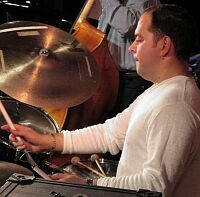 After leaving school in 1988, he moved to Moscow to enter Gnessins Music College, where he studied jazz drums with well-known teacher Mikhail Kovalevsky. 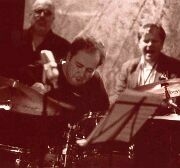 In 1990, 17-years-old drummer was invited to join The New Generation, quintet led by the great pianist, teacher, composer, one of godfathers of jazz education in Russia, Igor Bril. The group performed throughout Russia as well as in Bulgaria, Indonesia (JakJazz Festival, Jakarta, 1991) and Romania (Grand Prix at Young jazz ensembles competition in Bucharest). 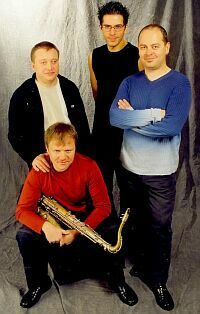 In 1992, another Muscovite musician, saxophonist Vyacheslav Preobrazhensky, asked Eduard to join his quartet with the great bass player Red Mitchell that performed at Pori Jazz Festival in Finland. While in Finland, Zizak got acquainted with famous Finnish alto sax player from Dizzy Gillespie United Nations Orchestra, Yukka Perkko, with whom he performed. In 1993, Eduard started to collaborate with one of Russia's most popular jazz singers, Sergei Manoukian. AT the same time he was invited to record with Victor Dvoskin, to date Russia's leading bass player (now residing in the U.S.). In 1995, Eduard also performed and recorded with The Jazz Gallery sextet led by saxophonist Nicolai Panov (now also residing in the U.S.). The same year Zizak became a member of MKS Big Band led by Anatoly Kroll (to date the best jazz orchestra in Russia) and stayed with the orchestra until its disbanding in 1998. 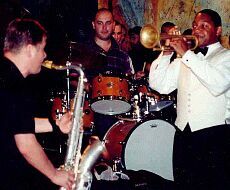 Since 1998, while being a member of a blues group led by American singer Tim Strong, Eduard Zizak started to perform with many jazz musicians who come to tour Russia - Curtis Fuller, Benny Golson, Wynton Marsalis, Randy Brecker, Dee Dee Bridgewater, Joe Locke, Guy Barker, Carmen Lundy, Lisa Zein, Nat Reeves, Harvey Schwartz, Valery Ponomarev, Paul Bollenback, Mark Soskin, Nick Levinovsky, Greg Abate, to name a few. Since 1999, Eduard Zizak is the member of both quartet and big band led by Russia's premiere jazz musician, saxophonist and composer Igor Butman. 1993 Victor Dvoskin - Andrei Kondakov Project "In A Deserted Park"
1994 Igor Brill & The New Generation "Endless Road"
1995 Nicolai Panov "Jazz Gallery"
1996 Anatoly Kroll's MKC Big Band "Only Girls In Jazz"
1996 Anatoly Kroll's MKC Big Band " Killer Joe"
1996 Anatoly Kroll's MKC Big Band " The Days of Wine & Roses"
1998 Alex Rostotsky - Vladimir Danilin - Alexey Kuznetsov "Once I Loved"
1999 Alex Rostotsky "Jazz Ballads"
2000 Ivanov Brothers "Up to Olymp"
2001 Mike Ellis "Live in Russia"
2001 Igor Raykhelson, Yuri Bashmet and Igor Butman - "Suite for saxophone, viola and orchestra"
2001 Yuri Goloubev "Toremar Island"